Students from different public sector universities have developed an application called TrackReps which would help the public in tracking the performance of elected members of the KPK Provincial Assembly. The young IT developers presented the application at Peshawar Press Club which contains all the data of the elected representatives and their activities and performance, from passing bills to ongoing projects etc. All of this information will be available to the public soon. 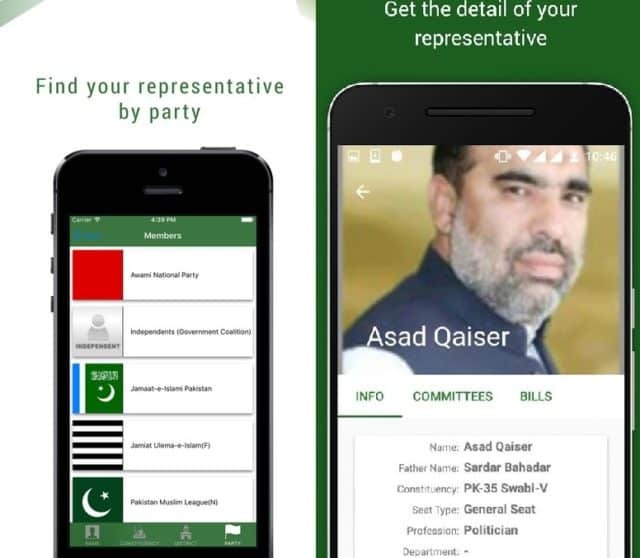 This app has the potential to facilitate the public in making informed decisions during the next elections, which bodes well for not just KPK, but for all of Pakistan. Shehroz Rashid, the founder of TrackReps believes that this application can help ensure the much-needed transparency which is lacking in Pakistan. This idea can also be scaled to National Assembly of Pakistan, representing the whole nation. Since the model is to monitor the performance of public representatives, it can also be introduced and replicated in other countries both developed and developing. Having transparent data in hands is a rare thing in Pakistan and this application can provide insights to how well the people’s representatives are performing during their tenure. With more than 40 million internet users in Pakistan – with 31% of the 116 million phone users with smartphones – such applications bring hope for a better Pakistan. The app is available for Android phones only and can be downloaded from the Play Store here. Isn’t it 1 year old app? THEY SHOULD HAVE MADE FEEDBACK APP!